If you have been following my blog for long, you might have been able to tell that I love songs. I love singing songs, listening to songs, dancing to songs, etc. One day, I was listening to the Casting Crowns playlist on my phone, trying to relax and dwell on the truths revealed in the songs when Halleluja came on. I recognized the song. I knew the name of the song. But I guess that I had never listened very attentively to the lyrics before. As the first verse started, I was hooked onto the song. I love this song now. The song tells the story of the world. And, in between each of these pieces of the story, God is being praised and glorified. A child looks out her window, sitting on a tattered, worn bed, wondering what her purpose is in life – wondering if she even matters. She has never had anyone say to her, “Good job.” Never has anyone shown her love. All her life she has always been told that she is stupid and good for nothing. Is this how children deserve to grow up – wondering why they were left at a children’s home or an orphanage? Or asking why their parents don’t care enough to take them back home? No! But, unfortunately, there are over 140 million orphans in the world. These children either have no parents, have parents who can’t support them, or parents who just don’t want them. This breaks my heart. But, it breaks these children’s heart more than mine. It rips their hearts in two when they find out that they are not wanted or cared for. That is what we did that week we were in Mexico. When we went to the children’s home, we played volleyball and soccer with the kids, showing them that they matter to us. We painted their nails in order that they might know that they are loved. When they drew a beautiful picture or did a fantastic cartwheel, we told them so. Also, to show that their safety and needs were important to us, we painted their dirty walls and cleaned out their rubble filled back yard. What I learned this week is that no matter what language you speak, what you look like, where you live – we all want to laugh, have fun, and be loved. But, most importantly, we all need a Savior. 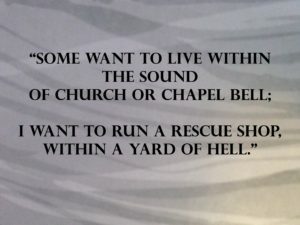 We are all sinners and we all desperately need Jesus to save us. 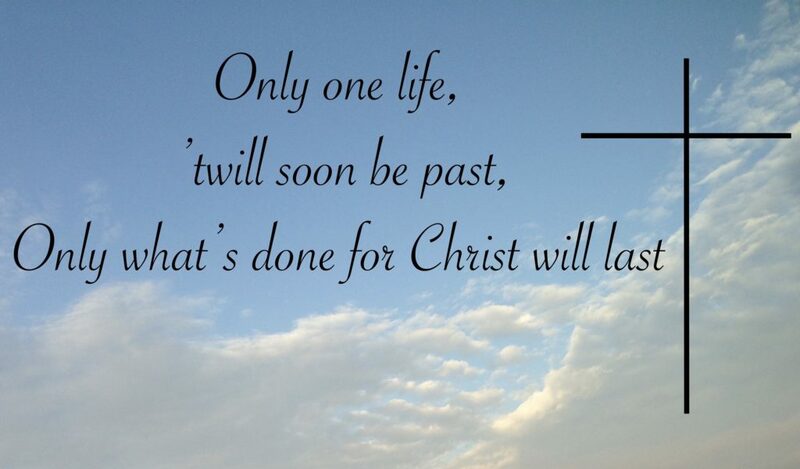 How long have you been serving? We have been serving in missions for 18 months. We have been serving in Western Asia. When did you first feel that you were called to be a missionary and how did that lead into what you are doing now? I first felt called to be a missionary in my mid-20’s when I took the course, “Perspectives on the World Christian Movement.” I learned from a number of missionaries throughout the course about God’s heart for the nations and the various roles in the Great Commission and also the various organizations there are in missions. Currently, I’m a church-planter serving in an unreached country that is only 0.005% evangelical Christian. There are a number of aspects to my job. I’ll arrange it sequentially. Firstly, in order to be a missionary full-time, I needed to raise financial support. My wife and I spent over a year meeting with individuals and churches sharing the calling God had on our lives and the opportunity to partner with us financially and answer questions people had. Once we departed for the field, we had to set up our lives and adapt to the new culture. So we were (and are) learning and thinking about how the common person lives and how we are to adapt accordingly. Next, we began (and are continuing) to learn the native language. This takes years to accomplish and varies based on the difficulty of the language. Our desire is to become proficient enough to communicate the gospel without significant barriers to understanding the message. Furthermore, our job is to preach and share the gospel. Once people believe, our job is to disciple, equip, train, and gather believers. It’s incredibly important that we raise up national leaders so that the church can grow and multiply through the native people. As the church grows and matures, we are to discern when to fully hand over leadership to nationals. Once that takes place, we come alongside the church and offer support and encouragement in order that it may truly be an indigenous church. How do you think that your specific role in missions is especially important? All people play an important role in the church and in the great commission. Church planting among unreached people groups is especially important though because people in our country do not have access to the gospel and Jesus told us to go to the ends of the earth. People are born, live and die without hearing about Jesus in some parts of the world. Therefore, it’s vital that missionaries bring the gospel to them that they may be saved by placing their faith in Christ. Further, we don’t see that our job is complete until those people who do come to faith by our evangelism are gathering and are worshipping in the context of a church. We don’t want to simply lead them to faith and then move on, but rather see them worshipping with other believers and recognizing that they are an essential part of the body of Christ in the context of a local church. Do you have a story about how you have seen God work through your role? We are in the early phases of church planting, but have seen God begin to plant seeds with our language helpers and teachers. Just recently, my wife began meeting with my teacher from my language school at a local university for private tutoring. My teacher said that she knows whether or not a student is a missionary within a matter of minutes of meeting them based on the expression on their face and their attitude. She said that she just notices a difference in their life. However, this is the first time she has ever had a missionary student in her home for tutoring. We have been explaining the gospel to her, and she said it’s the first time she has been able to understand the joy that missionaries have in their heart. We are thankful for all of those faithful missionaries who shined the light of Christ. We are hoping to see by the fruit of their lives and ours, along with our words, that she comes to faith in Christ. I went to seminary and received a master of divinity degree. However, it was not absolutely essential that I get the degree in order to do my job, but I highly recommend biblical education. What tips would you give a young person or anyone who is interested in this role? Pray. I recommend the book Operation World. It’s a prayer guide for all the nations. You can learn a lot about the world through that book, pray accordingly, and God may prompt your heart to a particular field. Prepare to be challenged. Missions is a very difficult job (but incredibly rewarding as well) and people need to be ready upfront for a challenge. Life is full of challenges, especially for those who serve the Lord in ministry. 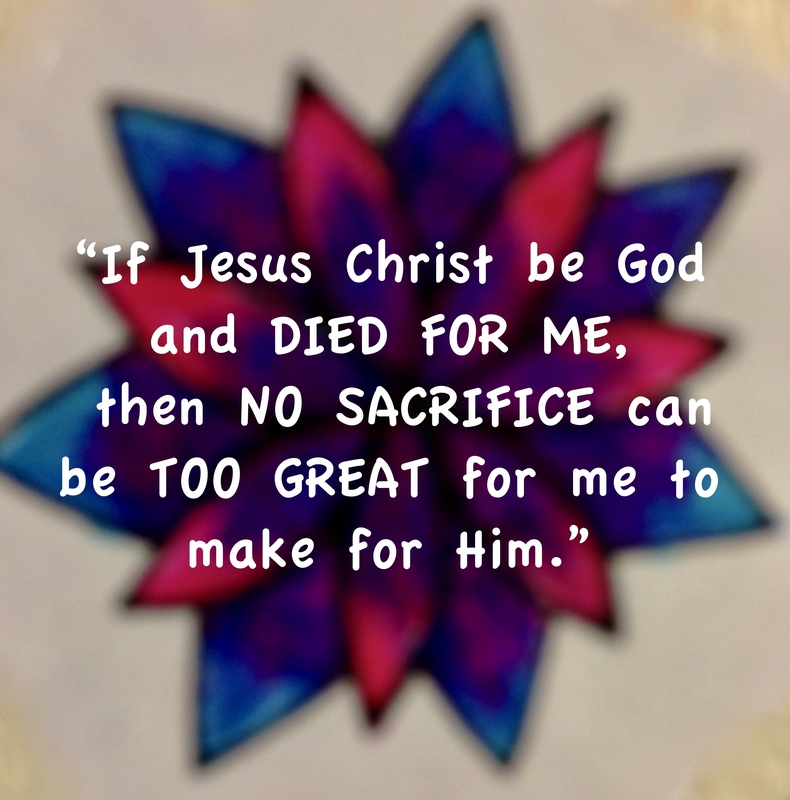 It’s His way of molding and shaping us to be like Jesus. Serve in ministry in your own context. It’s important that you learn how to minister in your own culture and language before attempting to do it in a foreign one. Talk with your pastor before you seek to go to the field. Having their support and blessing is crucial. Unfortunately, some pastors in the US don’t have a heart for missions, and if that is the case, it may be more difficult to get to the field or have their blessing. Take your English grammar classes seriously. It sounds like strange advice, but if you have to learn another language, it’s helpful to know your own language and how it works really well. It will benefit you when you study a foreign language eventually. Read missionary biographies and texts for ideas and encouragement. Is there any way that we can pray for you and the area you work in? Pray as we continue to the learn the language in Western Asia. We really long to be proficient in the language so that many can clearly share the good news and eventually plant a church. David and Zoe have a great task before them. Please take a moment to pray that the Lord will give them the strength and perseverance to continue the job which He has given them – to make His name great. *These are pseudonyms for security reasons. Missionary Interviews will be a series where I will … (you guessed it) interview missionaries. There are so many different jobs that missionaries do. There are translators, nurses, pilots, mechanics, and even computer programmers who serve God by using the skills they have. And, when one is looking at the career options within missions, it can be quite overwhelming. The neat thing is that God has given us specific gifts and talents which will equip us to complete the task/job He has planned for us to do. Why Am I Doing Missionary Interviews? If you are like me, you have (or when you were younger) flip-flopped between what “I want to be when I grow up” many times. For me, though, I have always known that whatever my profession was, I wanted to be a missionary. So, I thought that it would be a great idea to interview different missionaries and see how they serve God in a specific area. Also, I would like to discover how they came to know what God wanted them to do for Him. Now, I understand that God has called us to do His work in many shapes and forms. 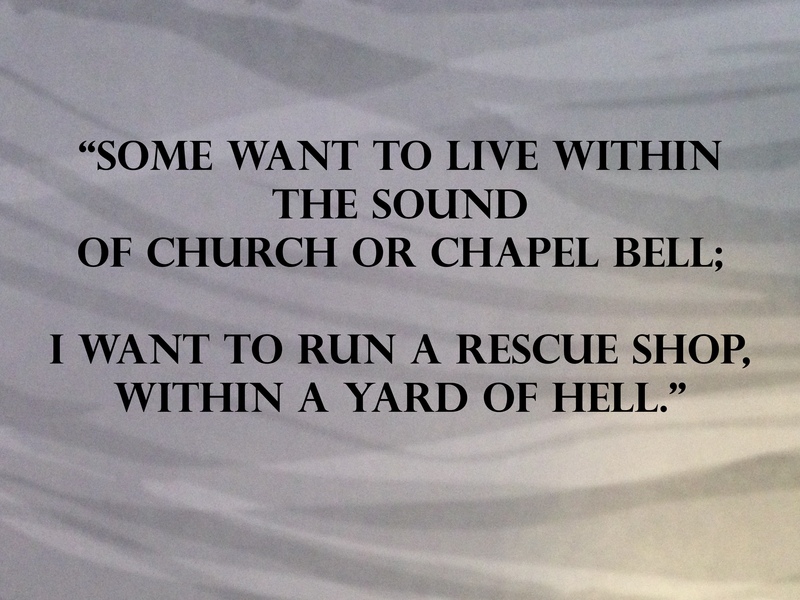 For some, it may be mission work. But, for others, God may have called them to be a light shining through the darkness in their neighborhood, workplace, or school. Even if you do not feel called to be a missionary, I would like to encourage you to still read the Missionary Interview posts. It is always beneficial to learn about how God is working all around the world. What Exactly Will Missionary Interviews Be Like? 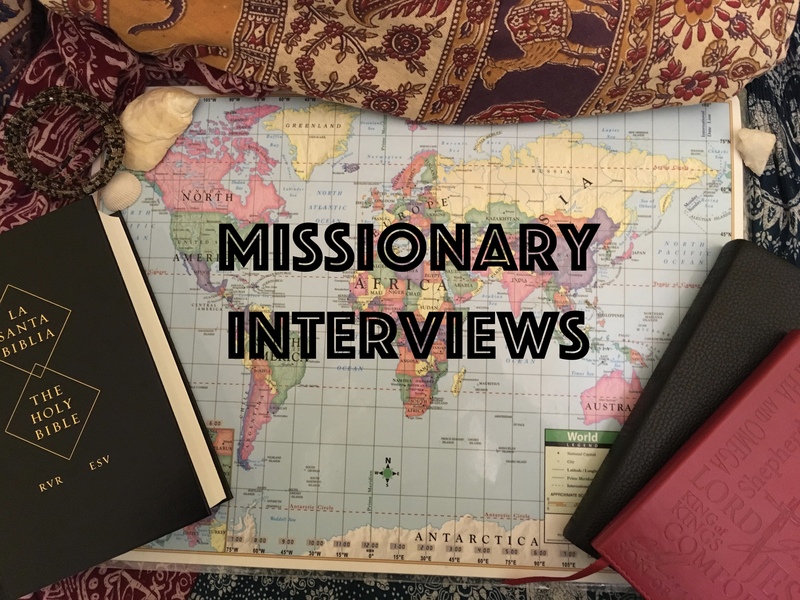 For the Missionary Interviews, I will be asking different missionaries questions about what they do, why they believe their job is important in missions, what kind of training they needed for that job, etc. I will also ask them to share their “missionary journey story” and tell about how they were called into missions. I am so very excited about this new series and can’t wait to start!